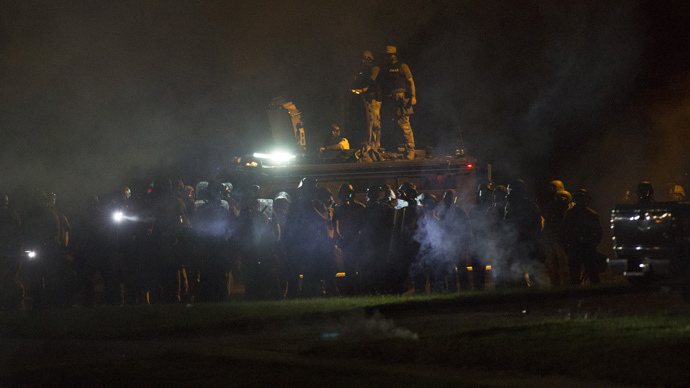 Police used tear gas against protesters in Ferguson more than two hours before the extended curfew was set to begin. Now the curfew is in force, and the officers are telling people who are angry over the killing of a teen by a cop to leave the streets. Protesters were marching to a local mall, acting as a temporary police base, when police shot tear gas at them, after just one notice to disperse, Paulina Leonovich field producer for RT's Ruptly agency says. 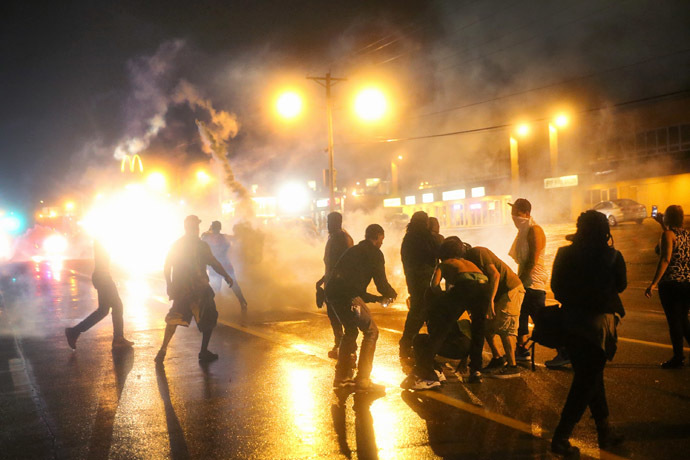 However, the Missouri Highway Patrol said it was using the smoke canisters to disperse "aggressors" who were trying to infiltrate a law enforcement command post, Reuters reports. 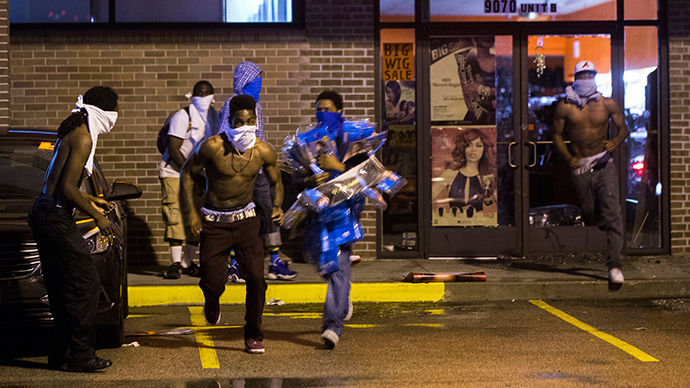 In order to “ensure public safety,” police drove into the protest area in armored vehicles shooting smoke canisters. The tear gas shot by police also reportedly hit the media standing area. Hundreds of protesters fled to safety after authorities fired smoke canisters and tear gas, and turned on Long Range Acoustic Devices (LRADs). Sporadic gunfire was also heard on livestreams from the scene with police confirming shots over the radio. 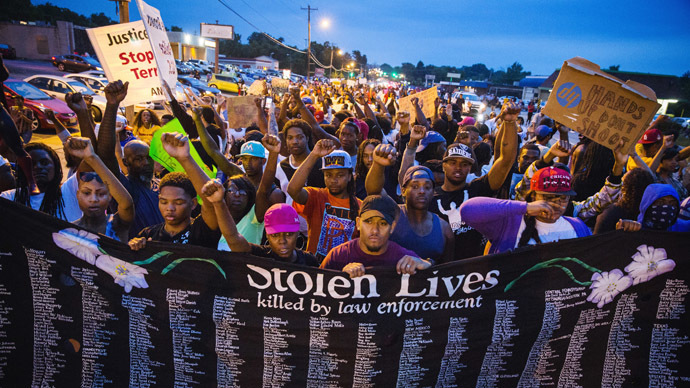 “We are trying to use the least amount of force to provide people the ability to speak while also protecting the property of the people of Ferguson,”Missouri governor Jay Nixon said in an interview on CNN earlieron Sunday, announcing that the curfew will be extended. Nixon didn’t mention if authorities are planning to cancel the curfew any time soon, adding it depends on the community. “We'd like to see it ratcheted down. What we'd like to see, that will be judged by the community," he said. Early on Monday morning, the governor has signed an executive order directing “highly capable men and women” of the Missouri National Guard “to assist Colonel Ron Replogle and the Unified Command in restoring peace and order to” Ferguson, his office said in a statement. Missouri Highway Patrol spokesman Justin Wheetley elaborated further, saying that officials will decide on whether to cancel the curfew on a day-by-day basis. During the previous night, some of the most hardline protesters remained on the streets after the curfew, annoyed by what they say are the authorities’ efforts to quell the protest by imposing more restrictions on residents instead of addressing the issue. Police used tear gas and rubber bullets to disperse the crowd, and arrested seven people for disobedience. One person has also been shot and critically wounded, and the shooter is still at large, police said. 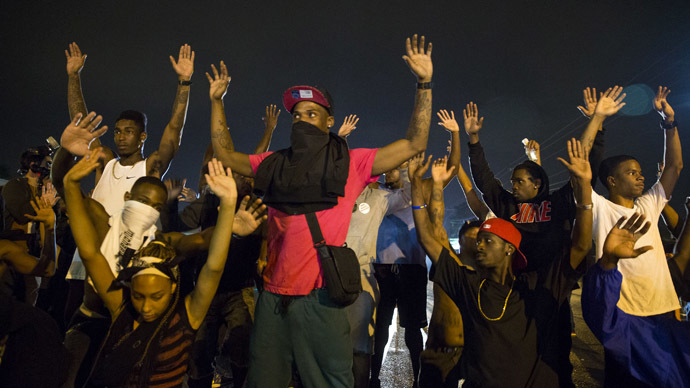 The curfew was imposed following a week of racially charged protests after Darren Wilson, a Ferguson police officer, shot and killed unarmed 18-year-old Michael Brown. 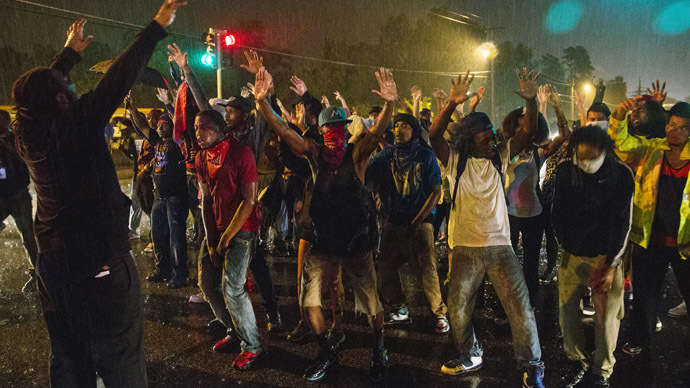 Authorities say the curfew is needed to separate peaceful protesters from the looters who marred rallies earlier in the week. “It's hard to build trust when the governor won't meet with community members and restricts their movements with a curfew,” Huang said. 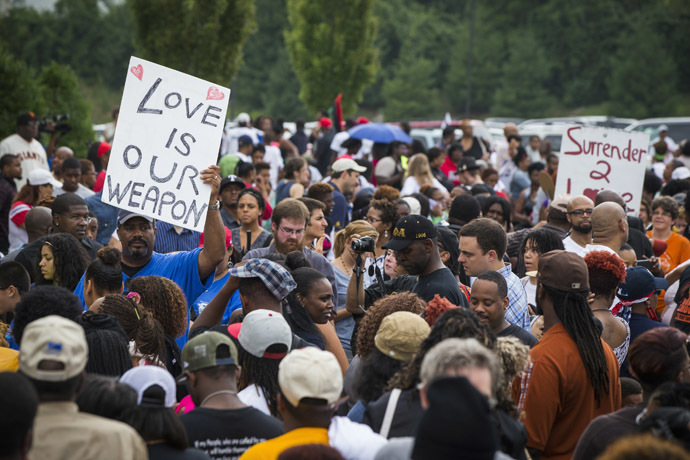 The Ferguson tragedy not also triggered outrage in the town and massive vigils, but also saw thousands of people across the United States marching in solidarity with people who have been victims of police brutality. Authorities say that the US Department of Justice is increasing its efforts in the investigation, with FBI agents questioning witnesses and an additional autopsy will be performed by a federal medical examiner.